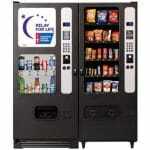 SOUTH DAKOTA STATE Vending Machine Companies! Offering FREE Vending Machines: Snack, Soda, Coffee, Deli, Drinks, Food, Frozen, Healthy Vending, Micro Markets, Amusement Games, & Repair services for your employee breakrooms! Please contact these vending machine operators directly for more information about their vending products and services. Automatic Vendors Inc – A Full Line Vending Service company, Based out of Sturgis, South Dakota. Hills Vending – Vending Machines company services, based out of Sturgis, SD. Midwest Vending – Full line vending Machine services, based out of Sturgis, South Dakoda.